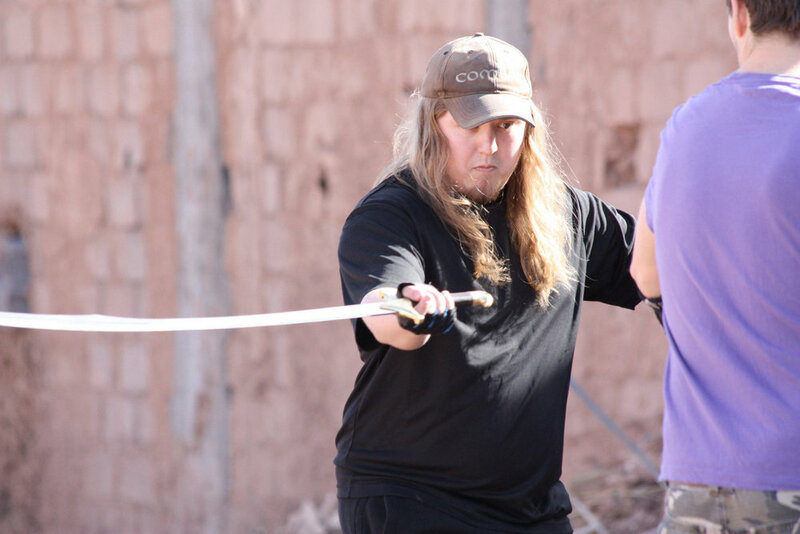 With over a decade of professional experience Joe is a highly accomplished fight coordinator and choreographer. Joe's CV boasts many critically acclaimed features films spanning several genres while his TV work has seen himself and his work appear on the BBC, ITV, Channel 4 as well as cable channels Discovery, History and National Geographic where he specialises in recreations of violence from historical warfare & combat to modern day murders and civil unrest. Other screen work includes commercials for high street brands and music videos for chart topping groups. Early to embrace digital media his work for online platforms and performers have a combined 100 million plus views. Live work includes West End theatre, shows which have gone on to tour Europe and official events to celebrate the 2012 Olympics. Using this extensive knowledge and experience Joe teaches stage combat to aspiring actors in training as well as introduce fighting on film to students at leading UK film schools. He has been interviewed in print and on television in both the UK and US as well as being nominated for several awards for his work over the years. Joe was part of the first graduating year of East 15 Acting School B.A Honours in 'Acting & Stage Combat'. The only degree course of it's kind in the word comprising thousands of hours of training across many fields but notably stage and screen combat across multiple historical weapons systems spanning the bronze age to the modern day. As well as his many fight performance credits Joe has also appeared as 'himself' on several occasions. These include a feature on US prime time show 'The Today Program', as guest stage combat instructor on E4's reality show 'Stage School' and teaching former politician Ed Balls to sword fight on BBC's 'Strictly Come Dancing'.